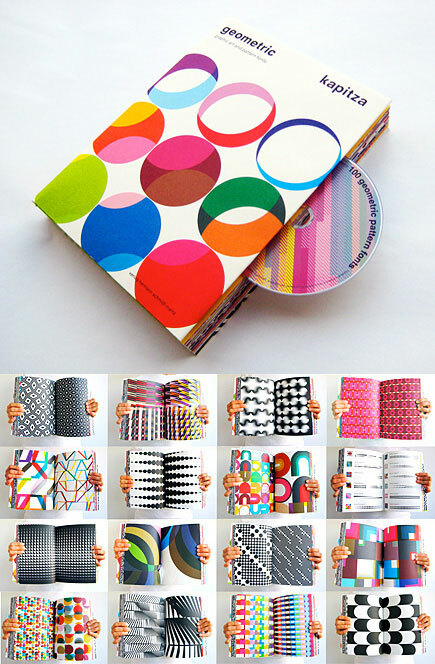 Kapitza’s Geometric book comes with a CD containing 100 pattern fonts – the most extensive pattern font collection available from any foundry. It also includes a helpful font index and easy to follow tutorials. Love! pretty colors! i love them! Vibrant patterns and colors – very cool! Great resource for any designer. This looks awesome! I love everything about this: the colors, the patterns, the fact that they are in font format and that it’s a book. Love it! Have ordered the book and am waiting for it to arrive! One thing I would have liked to know before purchasing it is will I be able to use the fonts in Illustrator and photoshop on a mac- like ordinary fonts?